Would you like to master office politics? 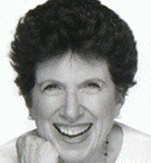 Judith coaches executives, entrepreneurs, and individuals to strategically manage, navigate, and advance their careers. She works with people locally, nationally and internationally, and is trained in long distance counseling techniques. Her international clientele span the globe from Sydney and Tokyo to Amsterdam and London. Judith deepens people’s ability to communicate effectively and create winning strategies during these challenging times. From brainstorming to decision making strategies- Judith works with various organizations to identify problems from business development to staffing. She specializes in cutting edge visualization techniques including goal setting and the planning required to carry it out. Let us know how we can assist with your professional goals, contact us today. “Thank you so much for everything; I really feel like you were an incredible catalyst towards all of these exciting things to come.”– Karen, Multimedia Strategist. “I could not have conceptualized and acted on such a tremendous career and life transformation without effective counseling. I greatly appreciate everything you have done for me.” – Matthew, Finance.